Adobe has partnered with Stockholm based Abby Priest to celebrate the best of the worst as well as the launch of their new Premium Collection on Adobe Stock. Stock photography is usually spotted a mile away and caters to every kind of cliche from ‘Smiling seniors using laptop’ to ‘Call-center woman wearing headset’ to ‘Man at desk frustrated with technology’. 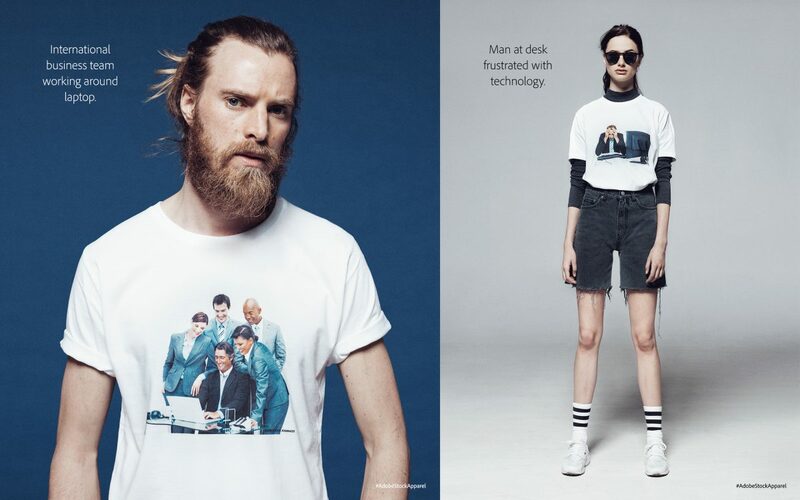 This new campaign to promote Adobe’s own stock offering highlights these and more with the simple yet fun Stock Apparel SS16. 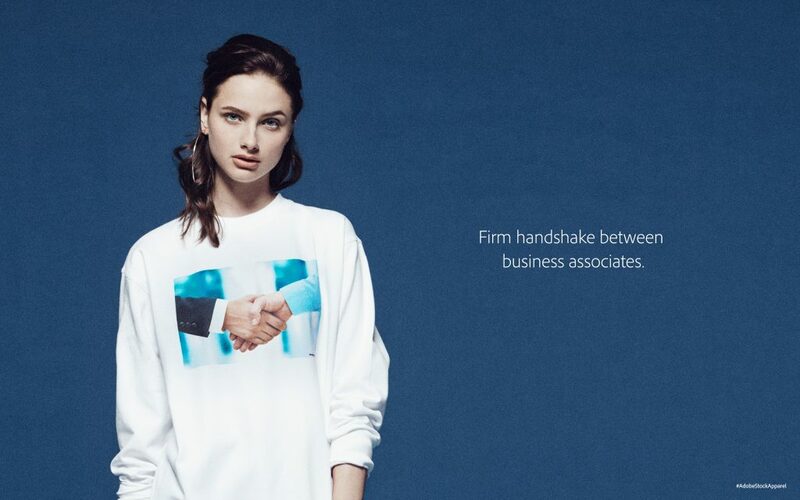 A look-book, which you can find here, featuring ten of the most cliched stock images from days gone by applied to apparel accompanies the limited edition garments. ‘Stock. Reinvented’ is the tagline Adobe is using for its stock service and with the claim of 10x efficiency and a seamless integration with CC apps is definitely a step in that direction. The CC integration is the real highlight of Adobe Stock. As part of the campaign Pfeiffer Consulting carried out research that found, on average, it took 287 seconds to license and do basic adjustments to images from tradition stock sites. Utilising the CC apps they found this was cut to a mere 28 seconds. The whole campaig highlights how far w have come when it comes to stock imagery and the level of photography now available. As this is a limited edition, the clothing is unfortunately not for sale to the public and only as part of a direct marketing campaign.